Lizard Island is truly secluded from the rest of the world. Our hotel is located right on the Great Barrier Reef, with 24 powdery-white beaches and 40 luxurious suites. Dining is one of our Great Barrier Reef hotel's many pleasures. Ospreys Restaurant embodies the resort's understated elegance. The menu, which changes daily, is fresh and creative, showcasing the finest local produce and freshest seafood. In the 2010 US Condé Nast Traveler Readers' Choice Awards (Category 'Top 20 Resorts Oceania') Lizard Island ranks 8th. 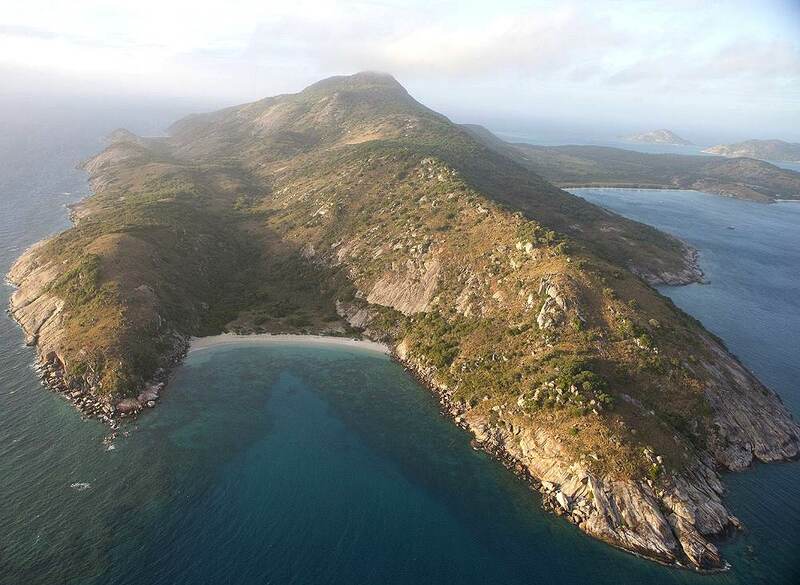 Lizard Island was voted second in the category 'Best Australian Resort' in the 2009 Gold List Awards. In 2008 Lizard Island was voted as the top hotel in Australia, New Zealand and the South Pacific and one of the top 100 hotels and resorts in the world at the Travel + Leisure World's Best Awards. Lizard Island is accessed by air from Cairns Airport in northern Queensland, Australia. Cairns Airport is accessible from all major Australian airports and directly from some cities in Asia. Note: There is no mobile phone coverage on Lizard Island. It begins with a special place. Your place - your own personal island retreat on the Great Barrier Reef. Beautiful, natural and wild and the most northern Great Barrier Reef resort, Lizard Island is a place reserved for the fortunate few. The beaches are plentiful, 24 in all, with fine powdery white sand, undisturbed but for the occasional footprints. Your island is for snorkelling, if you choose, or deep-sea game fishing, or diving at The Cod Hole, one of the world famous dive sites just a short boat ride away. Enjoy secluded picnics on private beaches, five star cuisine and indulging spa treatments. It's for splendid accommodation - room for only a few but a choice between private villas, suites, or a pavilion. Watching the sunset on a day-bed overlooking the water, it's easy to be lulled into the deep peace that comes with being in your own beautiful world on Lizard Island. Little wonder your island consistently makes the Top 10 Hotels of the World list.